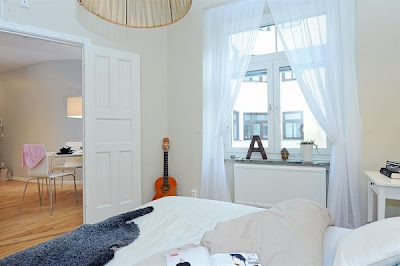 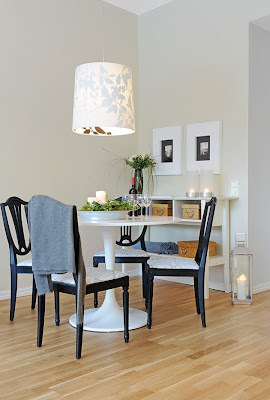 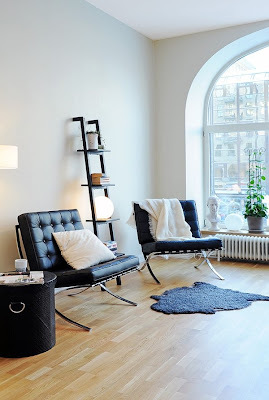 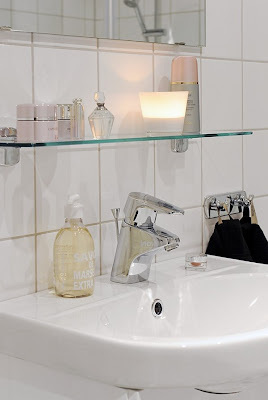 This Sweedish apartment looks great and we will try to emphasize the elements that stand out. 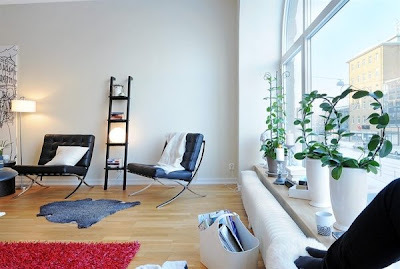 First of all, the atmosphere is fresh and youthful, which is a great thing to begin with. 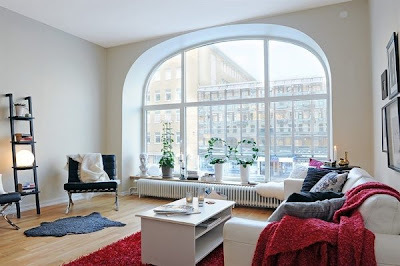 A large panorama window extending from floor to ceiling is the focus point of the spacious living-room, where you will also see various items of furniture. 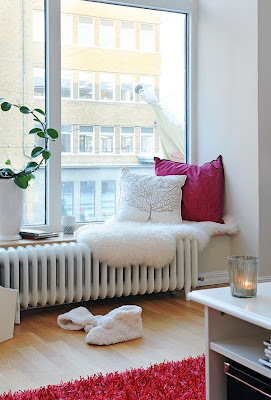 We particularly enjoy the heater and the fact that it almost calls out to you to sit on it or curl back with a good book. 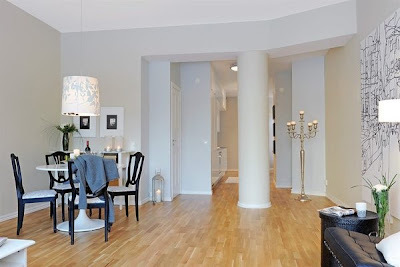 Even though not all the rooms have windows the kitchen for example), light somehow manages to find its way in these areas too. 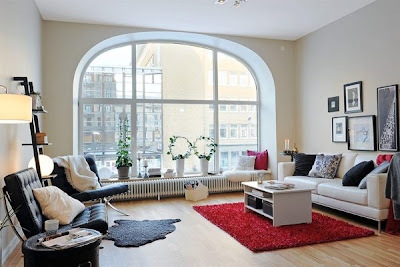 Pillars act as natural dividers between the rooms, a really creative idea and a practical one too.The curved walls are also very interesting.